Barney, Christmas and the rest of the team comes face-to-face with Conrad Stonebanks, who years ago co-founded The Expendables with Barney. Stonebanks subsequently became a ruthless arms trader and someone who Barney was forced to kill... or so he thought. Stonebanks, who eluded death once before, now is making it his mission to end The Expendables -- but Barney has other plans. Barney decides that he has to fight old blood with new blood, and brings in a new era of Expendables team members, recruiting individuals who are younger, faster and more tech-savvy. 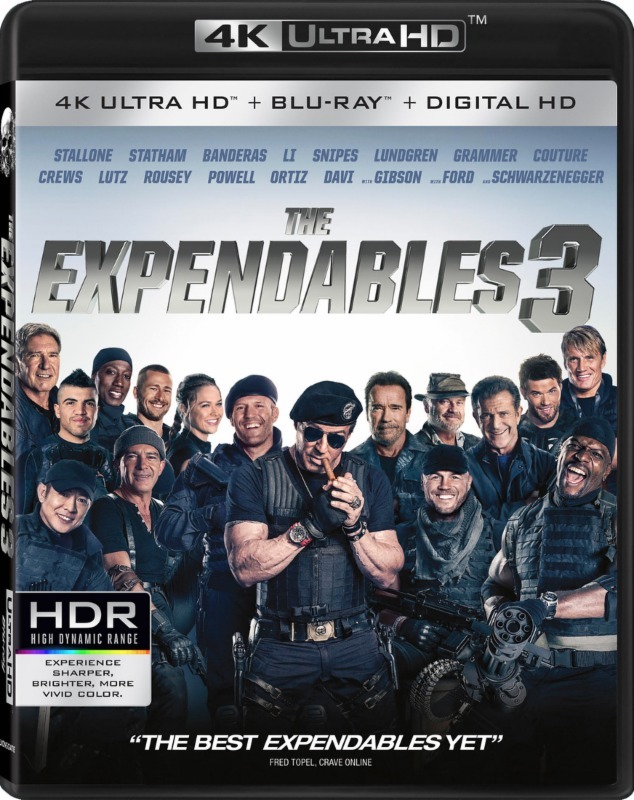 The latest mission becomes a clash of classic old-school style versus high-tech expertise in the Expendables' most personal battle yet. Years ago, Barney Ross (Sylvester Stallone) co-founded the Expendables with Conrad Stonebanks (Mel Gibson). After Stonebanks became an arms dealer, Ross was forced to kill him -- or so he thought. Now, Stonebanks is back and he's on a mission to end the Expendables. Ross decides that the way to fight old blood is with new blood, so he assembles a team of younger, faster, more tech-savvy recruits. The battle to topple Stonebanks becomes a clash of old-school methods vs. high-tech expertise.